Investing in a home closet system is always the best way to stay completely organized but when good old fashioned closet organization is done correctly, it can makes life so much easier for you and your loved ones. Imagine how much stress you eliminate when everything is easier to find while keeping your clothes clean and ready to wear when you need it. How you organize all depends on the size of your space, how much stuff you have and your clothing needs. 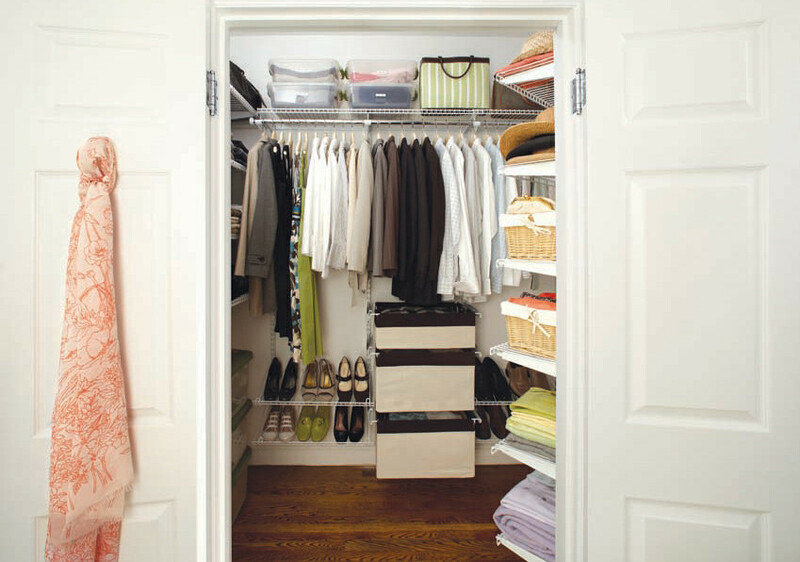 Follow these five steps below to organize any closet in your home. Step One – Gather supplies. Before you get started with organizing your closet you should have all your supplies readily available and at your fingertips. There is nothing worse than having to run downstairs or to your garage for things you should have had nearby. Step Two –Designate a workspace. Maybe the most important step in the process is having a clean and clear workspace. This not only makes organizing your closet more efficient, but it sets the tone for the rest of the project. Clear-out a space in your room large enough to temporarily stash and organize everything from your closet but away from high traffic or common areas. A collapsible clothing rack and an extra laundry hamper will come in handy during this step to help organize and take inventory of what clothes to keep and what you should donate. Step Three – Take Inventory, categorize and label. Once you have everything out of your closet it’s time to decide what to keep, toss, or donate, and make sure to have your piles clearly labeled. Put items into categories such as “shoes,” “clothing,” “bedding” and “seasonal.” From there you should decide what your sub categories are. For example, “winter coats,” “summer sheets” and “winter socks” to name a few. Since most people only wear about 10% of the clothing they own your pile could be bigger than you anticipated so be sure to have your flexible trash bags ready. Step Four – Clean, paint and accessorize. Chances are you don’t totally clean out your closet often. Take this time to fix-up your closet including a fresh coat of paint. I know this sounds like the last thing you want to do with all you your belongings strewn across the room, but you will thank me later. This would also be a good time customize your closet with a few new accessories. 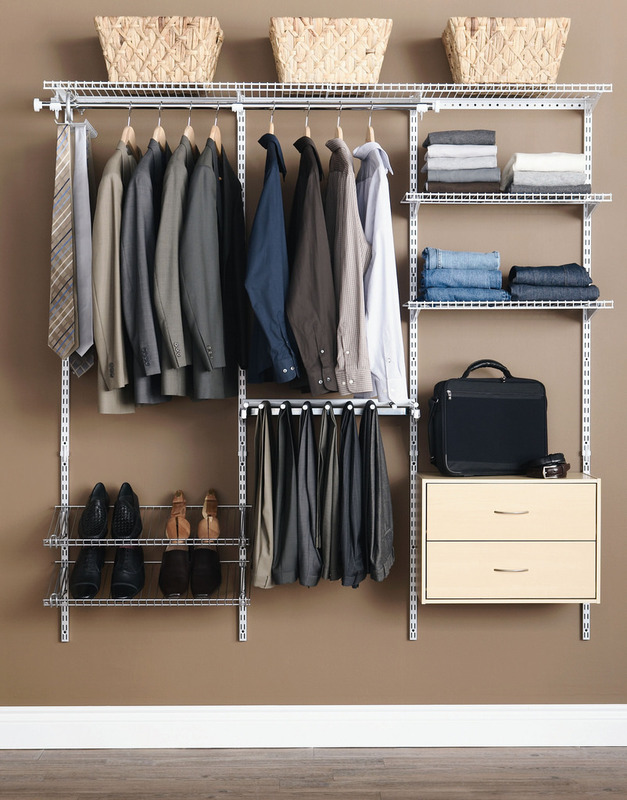 Things like valet rods, belt and tie racks, jewelry trays, and laundry baskets are a welcomed addition to any closet. If you are looking for a custom solution, you can request a free consultation from a closet organization business or cabinet maker. Step Five – Making sure it all fits and keeping it clean. Once you start moving back into your newly organized closet, you might find a few things that just don’t fit or belong in that room. Grab your leftover cardboard boxes and tubs for transfer to another area or for donation. By now you should have your new closet organized and looking better than ever. Keeping it Clean – I have found the best way from having to do this again soon is to set aside one hour per month just for maintaining your newly cleaned closet. I find that if you don’t allocate some time to keeping your closet organized you will be right back to where you started in no time. You can also use the “take one, leave one” method where if you buy a new piece of clothing, you have to donate a similar item right away. I hope these steps will help you get, and stay organized and help keep your wardrobe up-to-date and dirt-free. If you are looking for custom systems in Los Angeles please contact us.